It promised to be a lovely day and that it was, Kate didn’t want to leave. 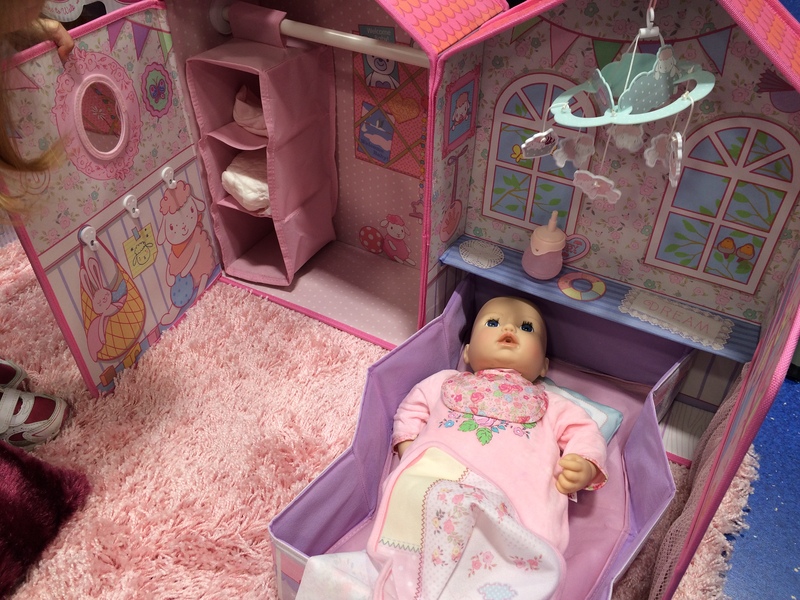 When we arrived, Kate made a beeline for the new Baby Annabell bedroom. A very compact, space saving design, unfolding when its time to play. It includes a mirror, hanging rail, hanging compartments and a lovely little mobile. Kate spent several minutes giving Baby Annabell her bottle and adjusting her blanket. She was quite amazed by Baby Annabells lifelike functions, she cries(tears and all), buy synthroid usa giggles, babbles, burps and even wets. The sheep is irresistibly cute! It shuffles along, wiggling his ears and making little “baaaahhh”sounds. Next it was the interactive story telling, Kate was enthralled by the tail of the grumpy Mr Bigbottom and the evil spell he cast over the land. Baby Annabell still took precedence though and was cared for throughout. The Learn to Walk Baby Annabell has jointed elbows, wrists and knees, she crawls independently an can walk while holding your hands. Then onto the essential elements of any good day, face painting, crafts and cupcakes! 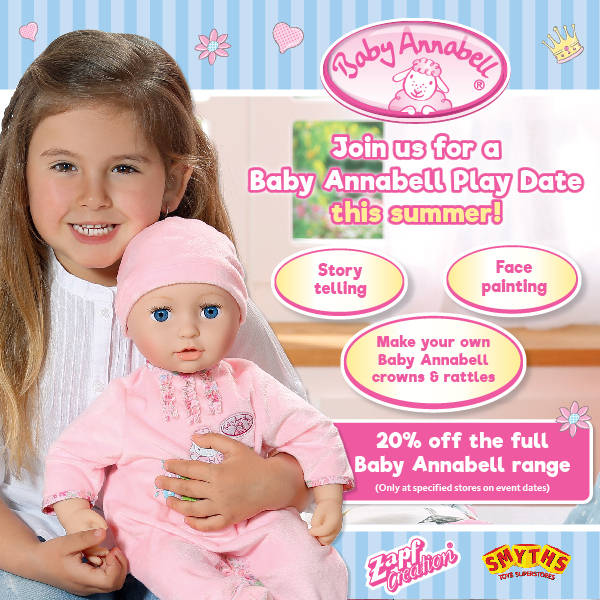 Kate had a wonderful time, thank you Baby Annabell and Smyths!